A flamenco dancer well versed in this art, after studies in California, New Mexico & Spain. Also extensive background in ballet & modern dance completes her knowledge of traditional dance training. Andrea’s love of improvisation lends itself to true dance understanding. Teacher 25+ years. Performing in Spain 2009, Mexico, New York City & North Carolina 2008, in addition to most of her years throughout California, filled a lifetime flamenco career. Having recently returned from living in Spain 2yrs & immersing herself in the flamenco life of gypsies found in Andalusia, Southern Spain helped further Andrea’s understanding of this difficult art form. 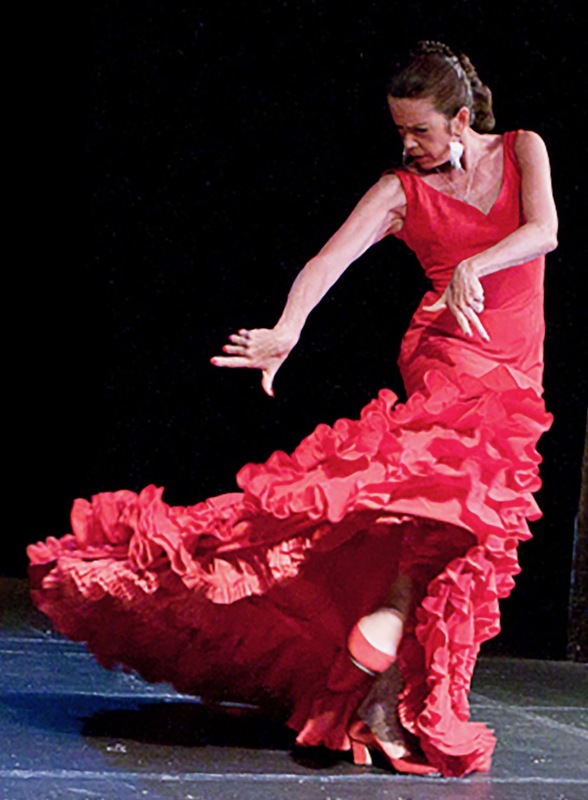 Andrea currently lives in Marin where she teaches flamenco dance in San Rafael, San Anselmo & Corte Madera. The North Bay welcomes her shows at the Sausalito Seahorse Restaurant.